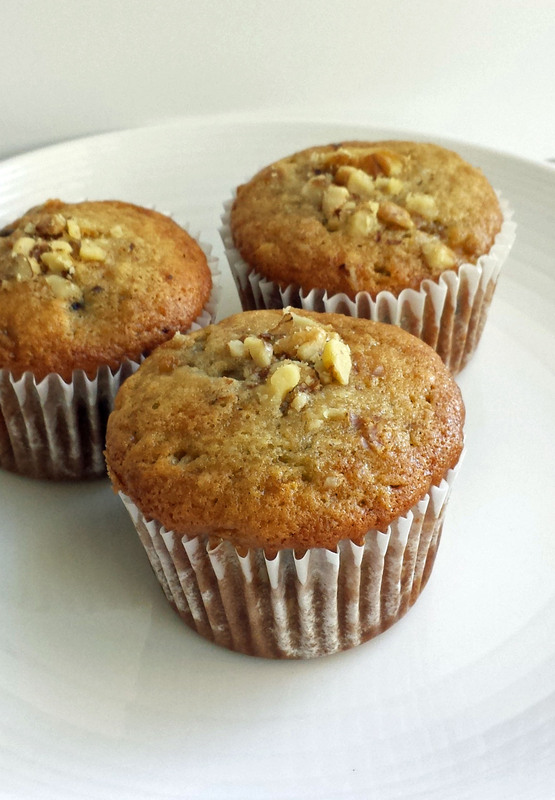 There’s something about bananas which pairs incredibly well with baked goods. Maybe it’s the moisture it brings to the party or the subtle flavor hinted throughout. Either way, we can’t wait to share our banana creations with you. Tia’s Treat of the Week officially ended last year. That doesn’t mean she stopped making killer treats for her team. This is one of those concoctions. The idea came from Pinterest. That’s a given since Pinterest is the place where all food is turned into other food. I think the whole Pinterest thing is based on that concept. But maybe that’s because I only look at the food section. Anyways, I digress. 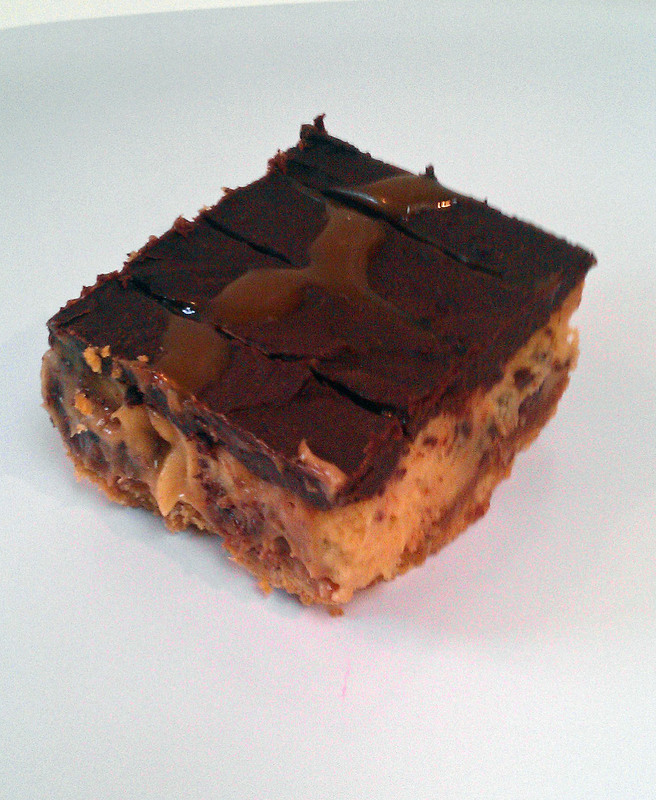 This is a cheesecake bar version of a Rolo. My favorite part was Tia having to unwrap all those little candies. You should’ve seen her face afterwards when we passed a grocery store aisle where they sold an unwrapped Rolos in a bulk bag. Make sure you have your toothbrush ready because this sucker is pretty sweet. If you want to try it out, check out the recipe. One summer tradition in our household is camping. We load up the truck, head to the woods, and pop up the tent trailer to have uninterrupted family time. The last thing we want is a weekend filled with stress. With traditions, we bring our childhood memories to pass on to the next generation. Who doesn’t remember as a child stabbing a marshmallow and holding it over the fire until it was engulfed into a towering inferno? The only thing keeping us from shoving the fireball into our faces and burning off the top layer of our mouthes was the promise of squishing it between graham crackers and chocolate. Now being the adult, I hate smores. First, they’re dangerous. I don’t know how our parents casually sat back while we shoved our hands into the fire. I watch my kids circle the fire ring and I become an instant nerve ball. Then even if they do get it to a golden brown, I’m having them blow to cool it off for a good five minutes before even thinking about eating it. This is only met with a frustrated “Awww Mom.” If we make it to the smore building, the whole thing is a gigantic sticky mess. Did I mention I hate smores? 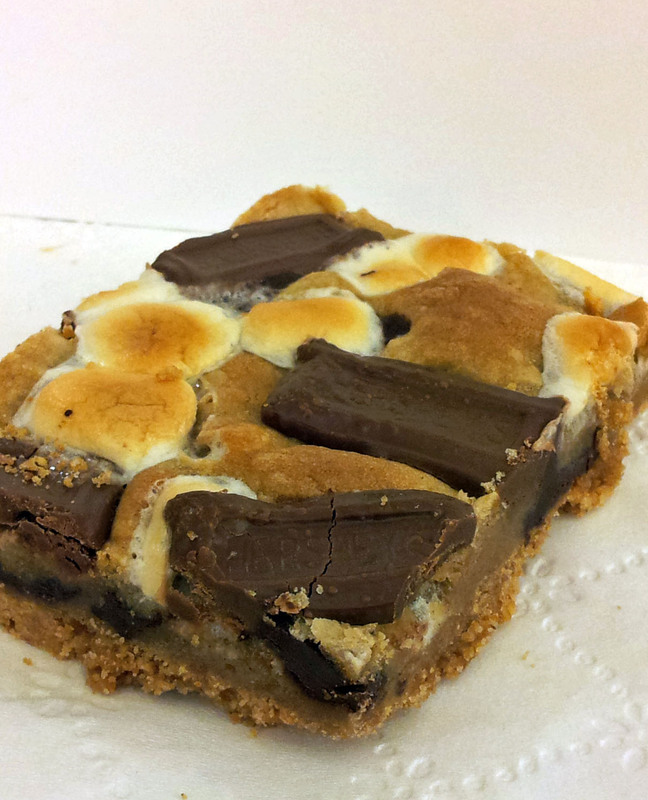 This dessert is a great compromise to the smore problem. I got the idea from Pinterest and decided to make some alterations to the recipe*. Now it ranks with the best problem solver for our outdoor desserts when we go camping. It has the classic taste without the mess. A mother’s delight. Preheat oven to 375 degrees. Mix the graham cracker crumbs, sugar, and melted butter. Press into a large cookie sheet. I lined mine with parchment, but I think you’ll be fine if you don’t. The crust has enough butter to keep from sticking. Put it in the fridge until your cookie dough is ready. Make your favorite cookie dough recipe. You probably could cheat here and use store bought to make it easier. Add half of the marshmallows to the cookie dough mixture. Scoop out dough and drop all over the crust sheet. Press the dough down to evenly distribute it over the area. If you like a thicker bar, double your cookie dough recipe. The small pockets should fill in when baking. After baking for five minutes, pull out and top with the remaining marshmallows and press the Hershey pieces all over. Put back in the oven and cook for another 7-10 minutes until the marshmallows are a golden brown. Let cool and then cut. Enjoy camping without the marshmallow mess. *If you want a definitive, structured, full-proof recipe, go to the original link above. Doesn’t it always seem like you have bananas around that have turned to the brown stage? Inevitably, because you hate ingredients to go to waste, you make banana bread. Or you venture to something new like a banana bar. 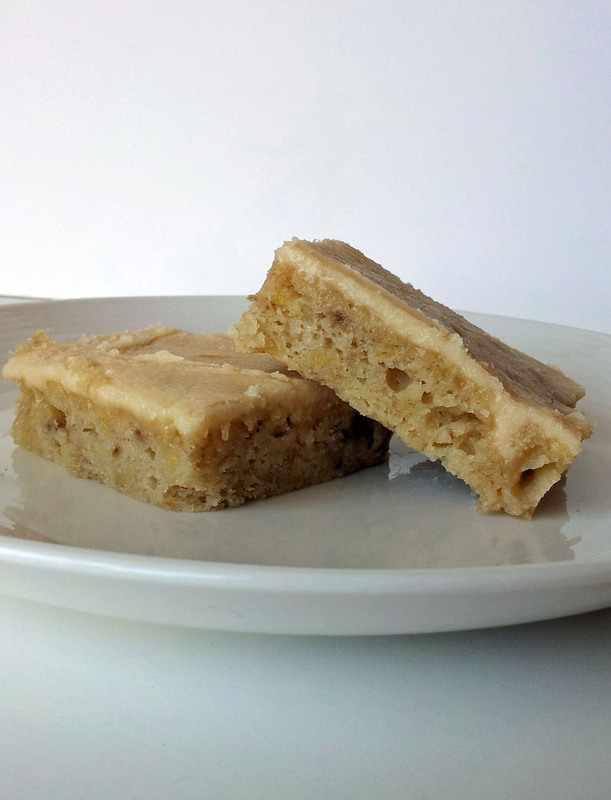 But the other day when I perused around Pinterest, I came upon the Banana Brownie. At first I fluffed it off as a bar form of banana bread. That was until I got to the brown butter frosting. It sealed the deal. Although brownie may bring chocolate to mind, there isn’t a morsel of cacao found in this brownie. It was more the texture than anything that made it brownie-like. Many loved the frosting and were cordial to the brownie part. (I think they wanted the original chocolate brownie instead.) The frosting however might need to make another appearance on other baked goods. 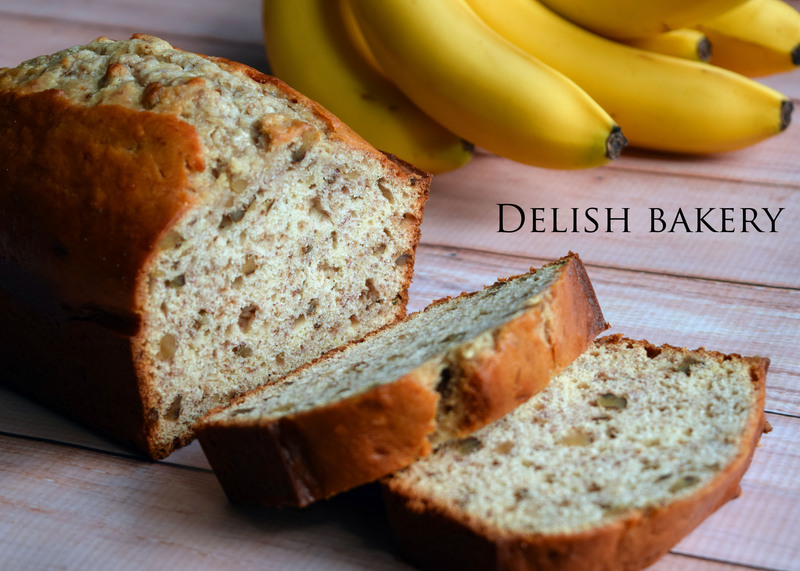 This is a good variation to the classic banana bread. Life’s Simple Measures does a great job with the tutorial and uses 3-4 bananas you didn’t get a chance to eat. In the end, how can you go wrong with a brownie? Recently, a friend of mine received tragic news about a family member. As people on the outside, we stand around helpless wondering what we can do to help. We don’t know what to say. Distant from offering anything of actual comfort. Patiently waiting until there’s a sign we are needed. 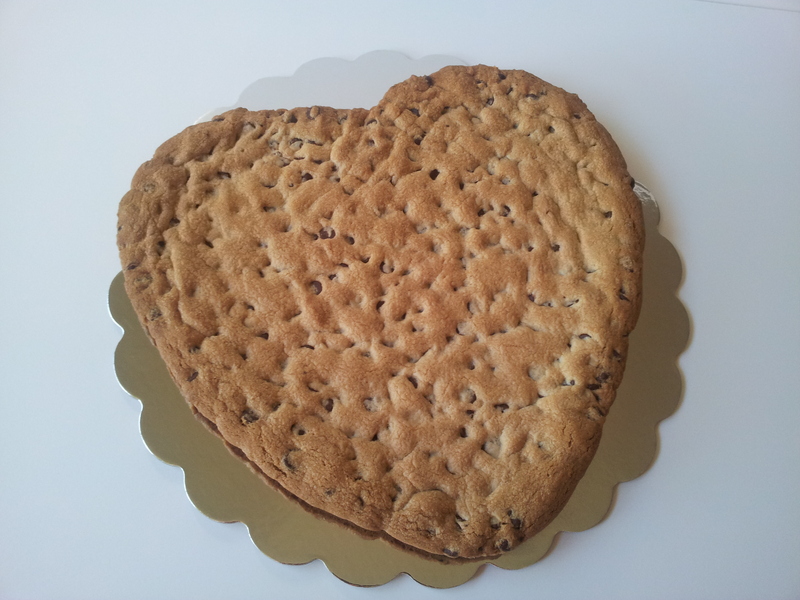 A couple weeks ago, I talked about making a giant cookie for my daughter’s seventh birthday. My friend’s eyes lit up for the first time in many days and she asked if I’d make one for her, too. Even though I would’ve totally understood drowning my sorrows in a sea of cookie, she said it was to cheer up the person suffering from the illness. I happily made her this cookie to give as a gift. What this cookie represented were all the things I wanted to say to make her feel better, the comforting prose to ease a bit of her pain, and show her how much I care. It probably was the same message my friend wanted to convey to her family member as she struggles of what to do. Sometimes, when we don’t know the right thing to say to help, it’s better let a cookie speak volumes. 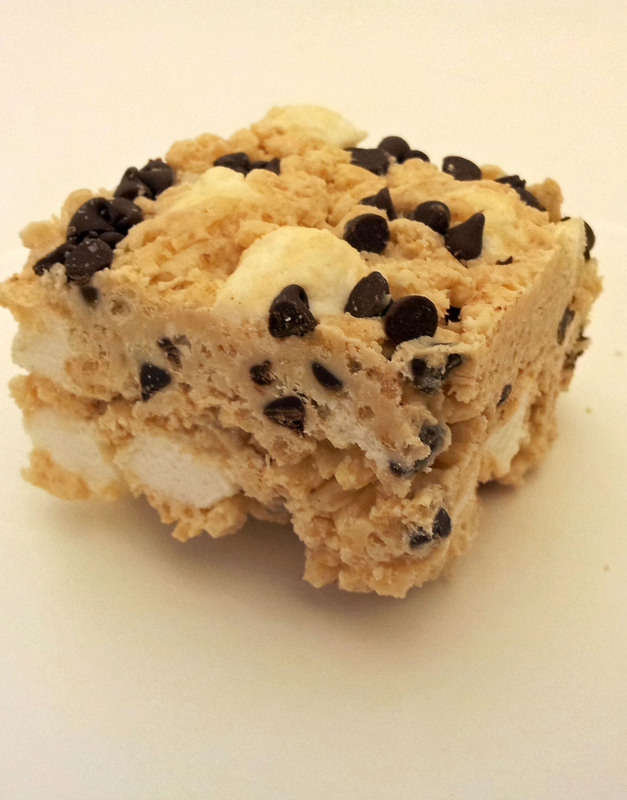 It’s peanut butter, white chocolate, marshmallows, and mini-chocolate chips. All that AND it’s super easy to fix. What’s not to like? Here’s the site where Tia got the recipe. It walks you through every step. You can do it! Tia’s Note: These were so good and super easy! The official name to this is the Ultimate Pretzel Crusted Peanut Butter Cookie Candy Brownie Bars. Seriously? 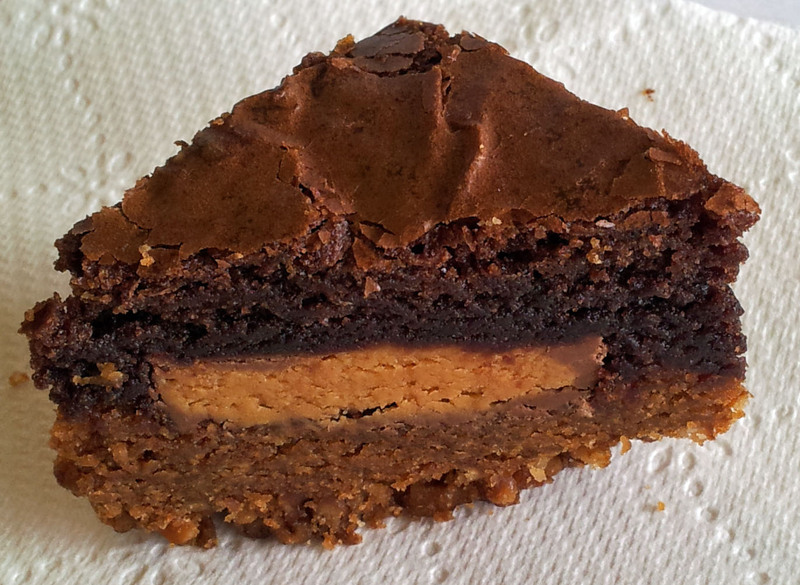 How is anyone supposed to wait around for you to get out the title before you dive into this awesome brownie? So, I changed the name. Yeah, I did it just like that. With all the ingredients being common pantry items (well, awesome junk food pantry items), I thought this would be as good a title as any. It’s a pretty rich brownie and might be too much for some people. Pretzels are used for the bottom crust so you get that salty taste mixed with the sweet smooshed-in-the-middle candy bar only to be topped by the chocolate brownie masterpiece. It’s a nice treat to spoil yourself when you feel like splurging. Tia’s Note: I made these for my team today. I may have overcooked just slightly in my quest to make sure they didn’t turn out a gooey mess, but still got reviews they were OMGood! It should be a crime to use lemons for anything but Lemondrop martinis. Okay, maybe that’s a little drastic. If you do end up having tons of lemons you aren’t sure what to do with them, here is a great, easy, summer recipe. These lemon bars are a fabulous combination of tart and sweet. They have the traditional smooth insides with a flakey texture from the crust. 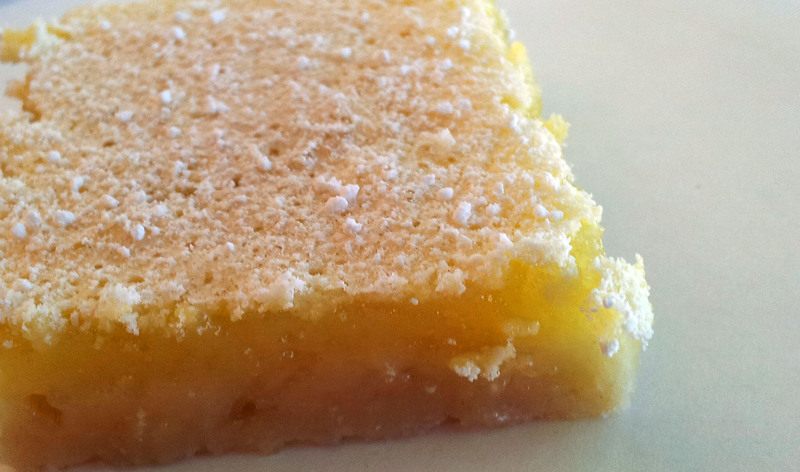 Lemon bars are one of my favorite desserts. With looking at how easy they are to whip up, they will be one of yours too. Preheat oven to 350o F. Mix flour and ½ c confectioner’s sugar in a bowl. Cut in butter using a pastry blender or 2 knives until crumbly. Pat mixture gently into a 9×13-inch baking dish. Bake for 15 minutes or until the crust is lightly browned. Beat eggs, sugar and lemon juice in bowl until smooth. Pour over crust. Bake for 20 minutes longer or until set. Cool on a wire rack. Sprinkle with remaining confectioner’s sugar. Cut into bars. I know the site has been a little delayed lately. Don’t worry. Tia is still cranking out her weekly’s. It’s the fault of the blogger they have not made their way to the web. I’m currently in the works to correcting this problem. 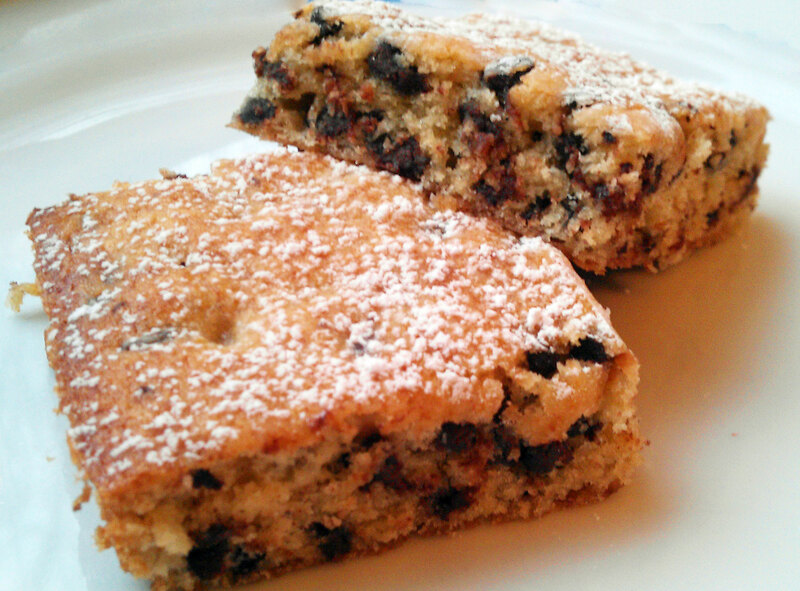 Here is a decadent one to keep you on a sugar high until I figure out the best way to keep this blog current. 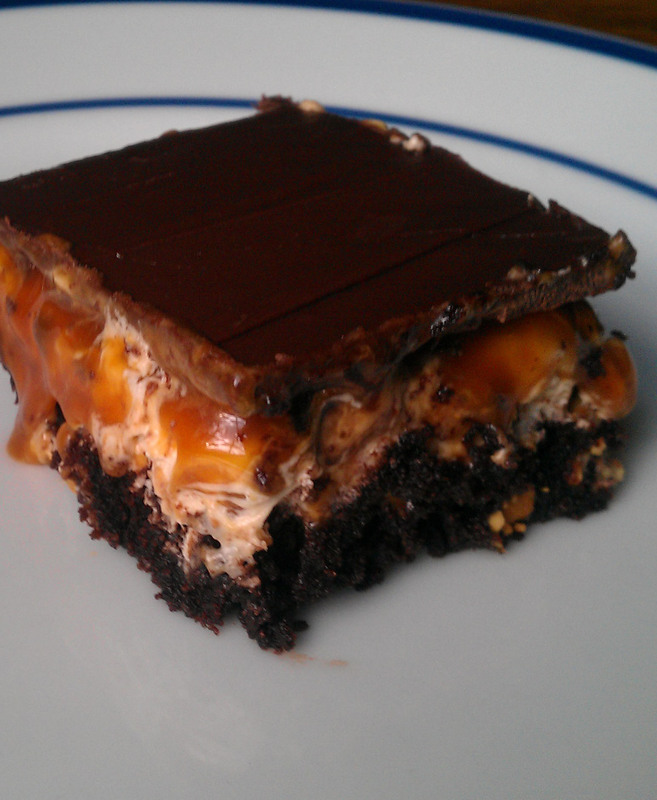 This is a Snickers brownie that has about a million variations on Pinterest. I will tell you, Tia said there was a lot of cursing when these bad boys were made. They are difficult to cut and get out of the pan. We’ve discussed some ideas for the future, like lining the sheet with parchment. But we wanted to give you the warning. These suckers are ooey-gooey. They also pack a punch in the sugar department. If you have a weak sweet tooth, this will knock you over. If you are sugar-lovin’ enough to handle a brownie inspired by a candy bar, than you are going to be in Heaven. Rating: Doesn’t matter. Tia said she’s NEVER making them again. When a banana passes that day where you want to eat it straight out of the peel, it turns into something delicious. Sure, there’s no possible way you are going to eat it as a mushy mess and unless you have a baby in the house, no one else will either. Bakers all over the world know the next step is to turn those slightly brown fruits into baked goodness. Most people think of the obvious, banana bread. 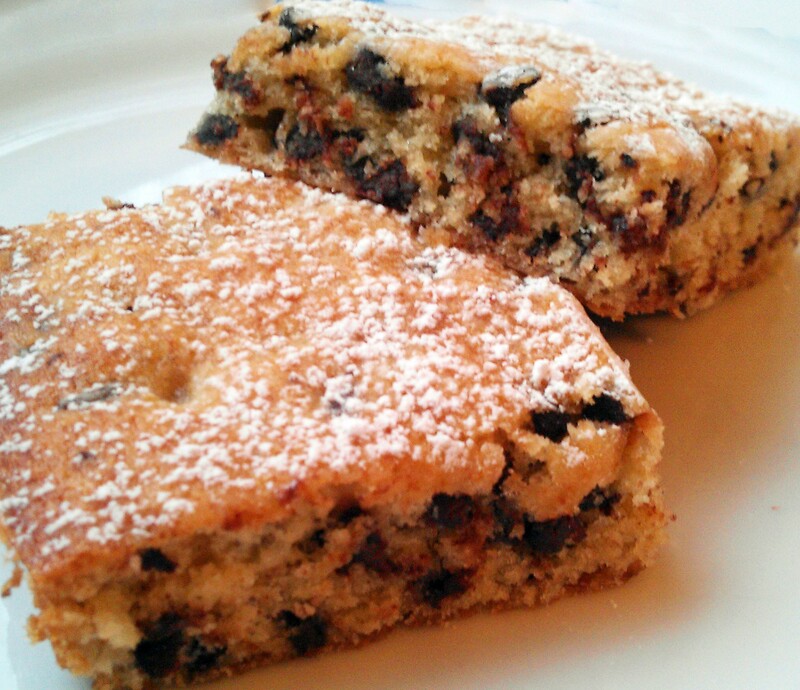 But Tia’s treat this week is a nicely done variation of the traditional quick bread. Instead, this gives a nice cake like texture with its softness versus the breads dense insides with a thicker crust. The addition of mini chocolate chips and sprinkled with powdered sugar makes this a nice treat rather than a breakfast meal. It might even be considered a healthy dessert. Well, I wouldn’t go that far, but it was a nice addition to a long day at the office. PREHEAT oven to 350°F. Grease a 15×10-inch jelly-roll pan. COMBINE flour, baking powder and salt in medium bowl. Beat butter, granulated sugar, brown sugar and vanilla extract in large mixing bowl until creamy. Beat in bananas and egg. Gradually beat in flour mixture; stir in morsels. Spread into prepared jelly-roll pan. BAKE for 20 to 30 minutes or until wooden pick inserted in center comes out clean. Cool completely in pan on wire rack. Sprinkle with powdered sugar.